﻿ Victoria Suites, Cagayan De Oro | FROM $17 - SAVE ON AGODA! Have a question for Victoria Suites? Nestled in the heart of Cagayan De Oro City Center, Victoria Suites is an ideal spot from which to discover Cagayan De Oro. The hotel is not too far from the city center: just 0.0 Km away, and it normally takes about 30 minutes to reach the airport. With its convenient location, the hotel offers easy access to the city's must-see destinations. The facilities and services provided by Victoria Suites ensure a pleasant stay for guests. The hotel offers access to a vast array of services, including 24-hour room service, free Wi-Fi in all rooms, 24-hour front desk, Wi-Fi in public areas, valet parking. Step into one of 40 inviting rooms and escape the stresses of the day with a wide range of amenities such as television LCD/plasma screen, internet access – wireless (complimentary), air conditioning, mini bar, refrigerator which can be found in some rooms. Besides, the hotel's host of recreational offerings ensures you have plenty to do during your stay. 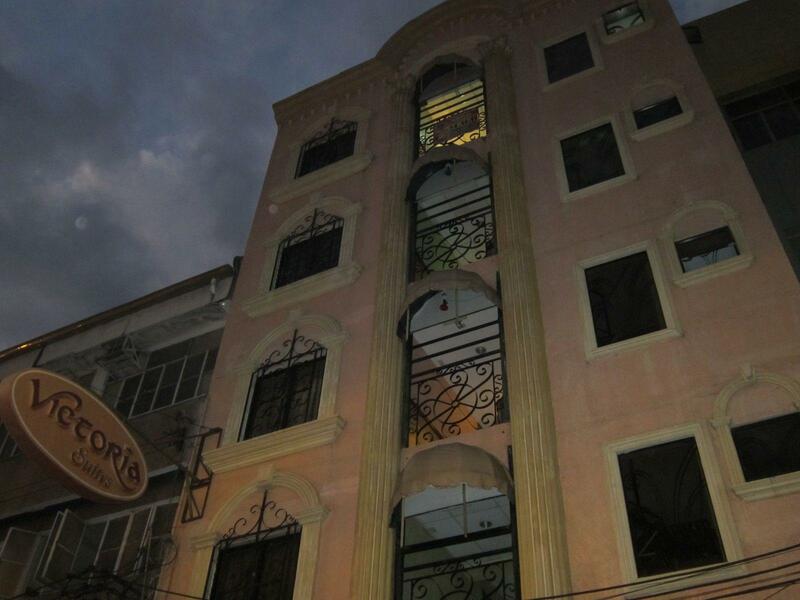 Whatever your purpose of visit, Victoria Suites is an excellent choice for your stay in Cagayan De Oro. The location was great. It's near the police station and divisoria. Taxi driver know where this hotel is. Not good, we even saw a cockroach in the refrigerator. maybe good location but thats it! Overall my stay was ok..but staff was not friendly. Comfort room was not so clean. When i booked at agoda it said it includes breakfast. the room was good for six person so it means all six includes breakfast..but according to the staff only 2 person are with breakfast..somewhat misleading with the promo. 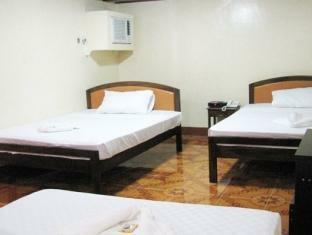 The hotel was budget friendly and it was very conveniently located close to the shopping areas in CDO. We just walked from the hotel to the restaurants and souvenir shops. 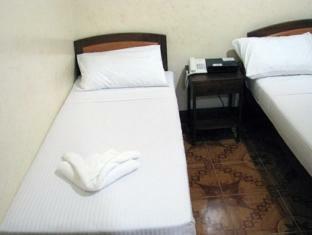 Friendly staff, easy access to the city, nice and clean hotel. It was great, the room was cleaned, just a little bit small room for the 3 person but it was great, the buffet breakfast was good, friendly staff ever. I would like to stay here again, and recommend this hotel to the travelers want to stay in Cagayan De Oro City. Great price and accessible. Good for an overnight stay.. although a lot of things should the management to take into action on terms of Clealiness and Maintenance specially in the Bathroom and insects inside the Room. Overall we had a good rest. It was my mom who stayed there but Im sure that they took care of my mom and niece. Good location (across from Police station), easy transportation, easy walk to dining, felt safe, nice staff..
centrally located, good for budget travellers, for group and family also. we as a group are not particular on how the hotel is luxurious or anything. the important is that we have a place to sleep and to take a bath. 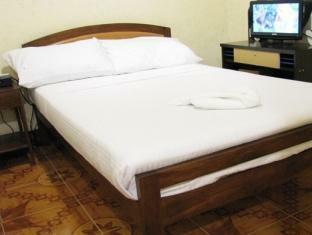 the hotel is recommended for group and family travelers. all in all the hotel was good to us. Stay in the hotel was generally acceptable. Staff were fast enough to accomodate our complain regarding AC and they transfer us to another room of the same type. The hotel does not offer lift. So if you're travelling with your wife who's pregnant, it wont be suitable specially if the only available room is on the top floor. It was all worth it. Would recommend! The only thing that I don't like is that their rooms has very poor to almost no mobile signal. It was okay. The rooms are old and the furnitures are rusty. Good thing it is clean. It was okay. For relaxation and luxury this is not the hotel you should be going. But for an overnight stay, it was okay. The room and money paid compensates except for the fact that you cannot use your mobile phones inside your rooms as there are no signals. Also, there are noisy tenants on the other rooms who are really disturbing. But overall, it's ok. Good hotel.